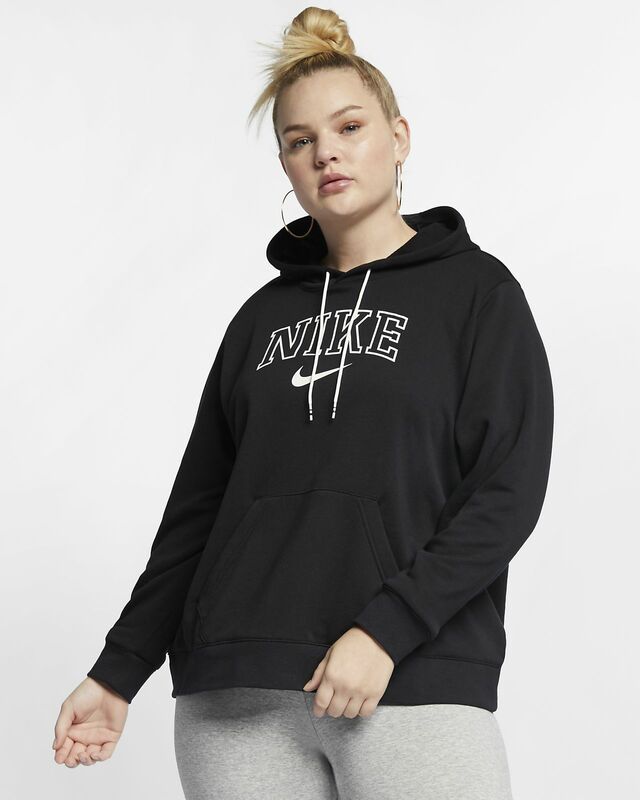 Keep it simple and comfortable with the Nike Sportswear Hoodie (Plus Size). Made with warm French terry fabric, it features an adjustable hood and ribbed cuffs. VARSITY LETTERS PLUS FRENCH TERRY. French terry fabric is soft and warm. Varsity block letters have a vintage vibe. Fabric: Body: 80% cotton/20% polyester. Rib: 97% cotton/3% spandex. This ended up being much shorter on me that I expected. I'm so disappointed too because the material is so comfortable! If I go up a size, it will be too wide and not long enough. It doesn't look short on the model.